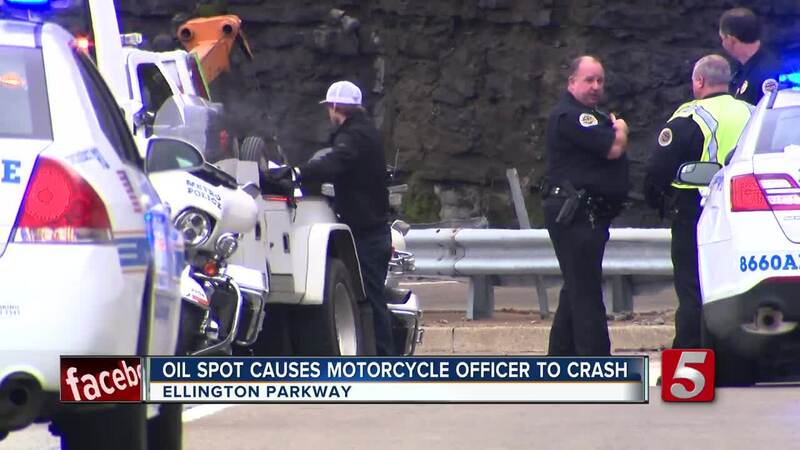 A Metro Nashville Police officer was involved in a vehicle crash on Friday afternoon at Ellington Parkway South and East Trinity Lane. An oily substance on the bridge caused the officer to slip while riding his motorcycle on the ramp. There were no other vehicles involved in the crash but the officer's arm was broken.